With a name like the Radiation Flowers and an album cover like the one you see above, you've probably already got a fairly good idea of what's in store here. Get ready to turn off your mind, relax and float downstream, since the Saskatoon psych band's self-titled album can be heard now. The album was recorded by Barrett Ross at Saskatoon's Ghetto Box Studios, with Patrick Michalak handling mixing. It arrives in the wake of the band changing their name from Powder Blue after receiving a letter from the Powder Blues Band late last year. Opener "Sunfire Drug Haus" sets the mood with its droning, near-eight-minute psych-rock sprawl. Its quasi-Eastern flourishes and hypnotic vocal incantations set a mystical mood, and the rest of the album is similarly psychedelic. It includes songs that aim for fuzzy punchiness ("17," "Psychic Attack") and jangling mellowness ("Dark Night," "Your Eyes"). 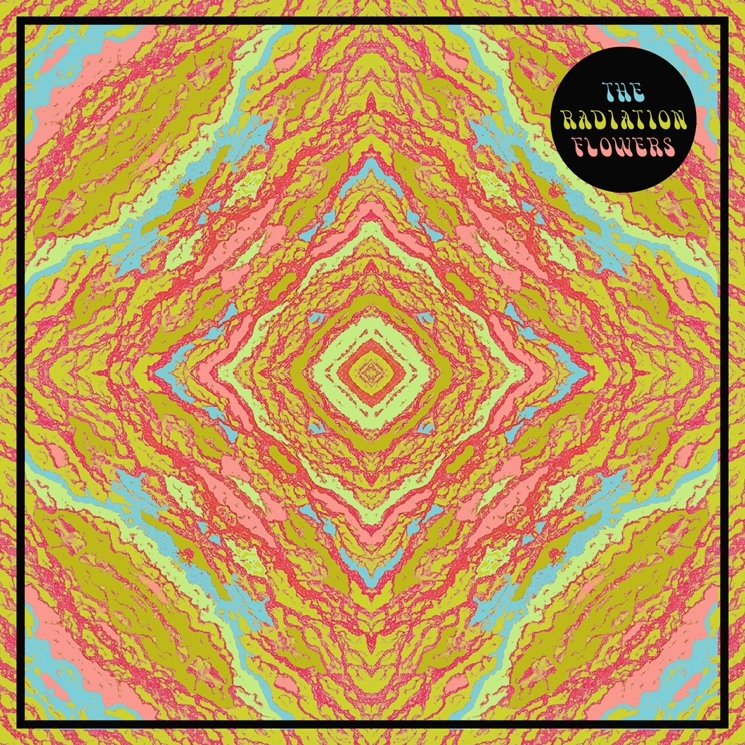 The Radiation Flowers officially drops on July 25 through Sundowning Sound Recordings/Dub Ditch Picnic Records. Hear it below, and look for the band to tour Western Canada in the late summer and fall.